Lake Taupo Pt 2 - Let's keep that in the sanctity of your brain, shall we? 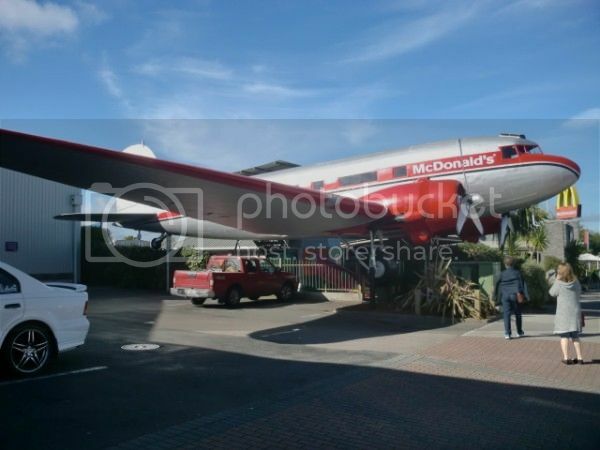 We left Lake Taupo on Tuesday late morning-ish, but not before a stop at McDonalds. Not that we ate there, but I'd read that it was one of the most unique McDonalds in the world so we had to see for ourselves. 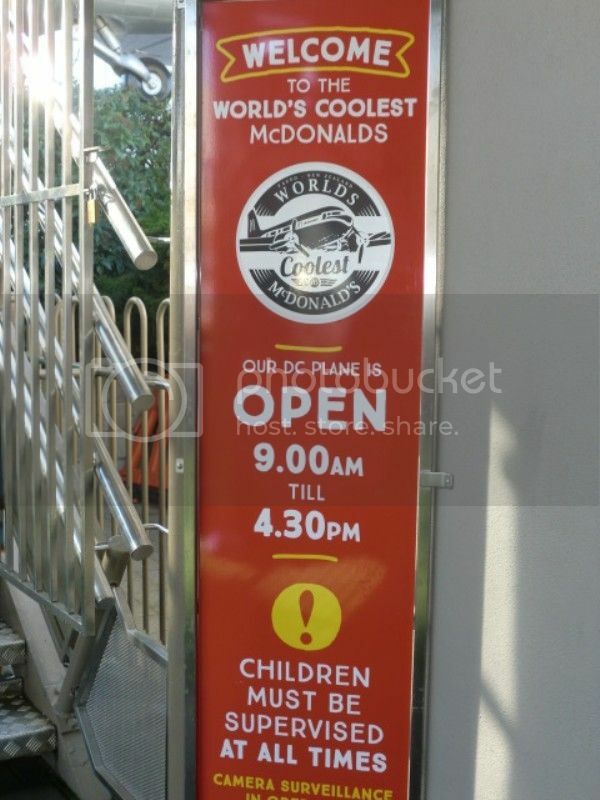 I mean, how unique can a McDonalds be? Apart from the fact that it was clean, and we were met by a concierge at the door, (which still has me wtf-ing), we discovered the real reason for its listing. 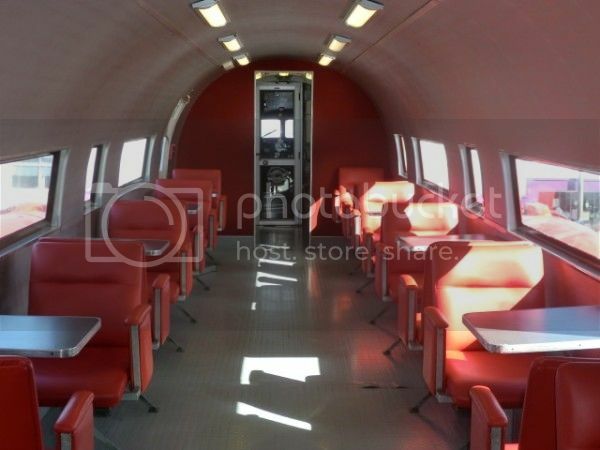 Yep, part of the dining area is inside an old plane! I have to admit, it was unique! I was almost wishing it was mealtime, just so I could sit in it and eat. We also spent some time looking for a quilt like the ones on the motel beds - the bottom of them was formed around the end of the mattress, so that they didn't slip off - so it was quite late in the morning by the time we left. Just as well, too, as we got a phone call from the motel to say that my BIL had left some shirts in the wardrobe. He was able to duck back to retrieve them while we were on our quilt hunt. With no success, though; apparently they're only available for wholesale / industry sale and aren't sold in retail outlets. Shame, really, as they're quite a good idea. Well, for people who live in cooler climates, anyway - it's been 29 - 30 every day since I got back and it's APRIL for gods' sake, what is going on? it's been 29 - 30 every day since I got back and it's APRIL for gods' sake, what is going on? Wow WON'T offer to swap you! At the wedding, the kiwis were complaining about the 23 degree heat and us Aussies were chuckling about that. But your temps? No thank you! I'd take the 23. Though maybe not in early April! If I hadn't already had breakfast - and it was too early for lunch - I'd have eaten there too, just so I could say that I had. It was fantastic, seeing the way it was kitted out inside. And the cockpit still had all of the controls in place, too, all dusty and covered in cobwebs. And then I googled for 'bed caps' as one of the commenters mentioned, and found a site which offers them in few different options (some solid colors, some reversible different solid colors, a zebra print and a denim) & a number of different bed sizes-twin, full, bunk bed size- queen size are special orders, no returns. While it's a US company it does say it will ship to most countries. Thank you very much for the trouble you went to here. I followed your links, and unfortunately the bedcaps aren't quite what we were looking for - the ones we had were fitted at the bottom without any elastic. A couple of the other places mentioned on overstock.com had the exact thing, but didn't ship to Australia. There is a place in NZ where we can order them quite cheaply,(ie $49 NZ) but need to be in the hospitality industry to place an order... I have an ABN so we are looking at our options there.